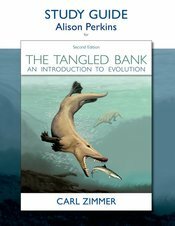 The study guide is tightly connected to The Tangled Bank: An Introduction to Evolution, Second Edition, by Carl Zimmer. It includes a wide range of activities and learning pedagogy, including pre-assessment questions, learning objectives, and test questions. Throughout, the focus is on developing an interest and deeper appreciation for evolutionary science.